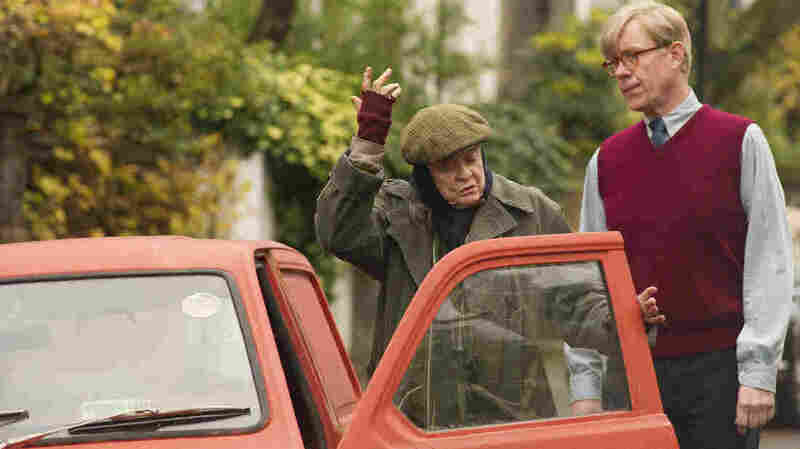 Interview: Alan Bennett And Nicholas Hytner On 'The Lady In The Van' When Alan Bennett invited Mary Shepherd to move into his driveway, he thought she'd only be there for three months. After she died, he turned Shepherd's story into a memoir, a play and now a film. 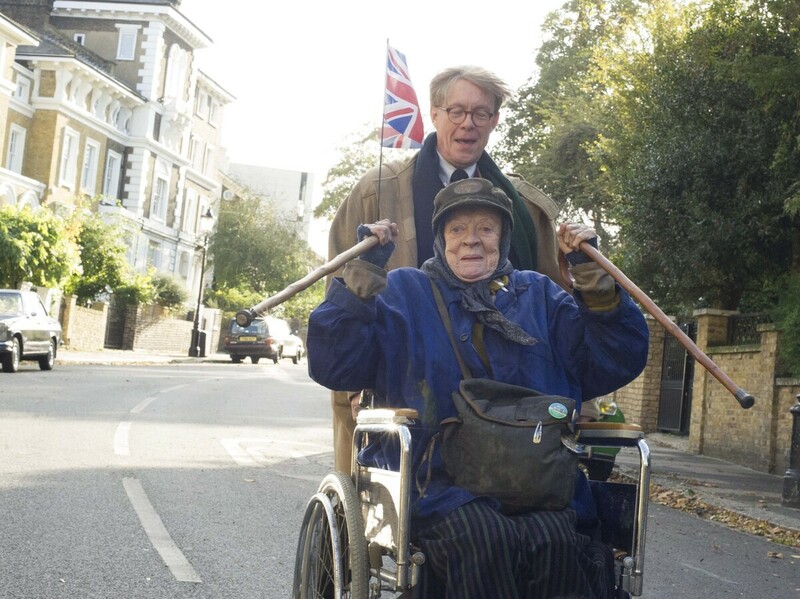 Maggie Smith plays Mary Shepherd and Alex Jennings plays writer Alan Bennett in The Lady in the Van. Bennett says people in his London neighborhood still remember Shepherd. In the 1970s, Mary Shepherd parked her home (a van) on a street in an artsy London neighborhood. She was cranky, religious, profane and indomitable, and the neighbors muttered about her — but some also brought her gifts. One neighbor, playwright Alan Bennett, took a particular interest in Shepherd and invited her to move her van into his driveway. She stayed there for 15 years. A new film, The Lady in the Van, tells Shepherd's story. It was adapted from Bennett's memoir and play about his guest, and it stars Alex Jennings as Bennett and Maggie Smith as Shepherd. Bennett and Nicholas Hytner, the film's director, talk to NPR's Scott Simon about how Shepherd ended up in Bennett's driveway and Smith's portrayal of her in the film. Bennett: Ms. Shepherd lived in the street and then I invited her to bring her van into the drive, thinking she'd be there for three months. And then this turned out to be for 15 years. And at the end of the 15 years, she died and I then found out from her next of kin, which was her brother, all the facts of her life, which are that she'd been a very promising concert pianist. ... She had been involved in an accident in which somebody had been killed and she'd left the scene of the accident, and so was technically speaking on the run from the police for most of her life, none of which I knew and which is woven together in the story. 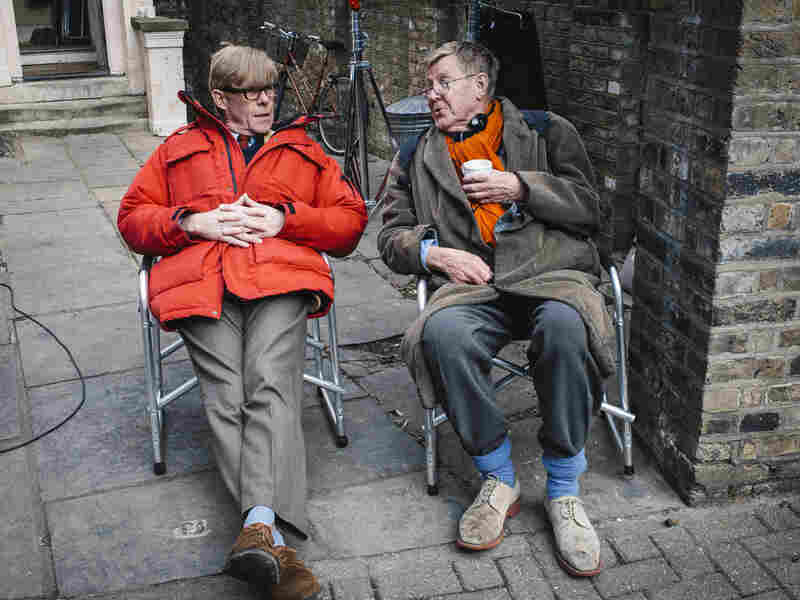 Playwright Alan Bennett (right) sits with actor Alex Jennings on the set of The Lady in the Van. Bennett's plays include The Madness of George III and The History Boys. Bennett: They didn't bring her crème brûlée on a regular basis. Occasionally, when it turned up at dinner parties and they had some left, they brought it over. And they brought over Christmas presents and so on. She didn't want anything, that's the thing. The Christmas presents she would just hurl into the mess that was inside the van and never open them because she didn't want to be beholden to anybody. She didn't want to have to ... be grateful. She was a very independent spirit. Hytner: She's one of the very great actors, I suspect, ever, and Maggie is able ... to reveal a kind of ocean of regret. It's not soft, it's not sentimental. It goes way beyond that. ... Slowly you realize that [Shepherd is] aware of the gap between where she's ended up and what she could have been. Although, having said that, she's hilariously funny because there is something incredibly funny about this fierce, armor-plated, rude, aggressive old woman laying about the guilty liberals of educated North London not allowing them even the small pleasure of feeling that they've done her a favor. None of that. Bennett: I, in the movie, get very cross and say what people never say about caring: "It's about s - - -," because it's about cleaning up after people. And there was a lot of cleaning up to do over Ms. Shepherd. But I think it's true to the facts of life, really, not merely her life, but anybody who has to look after anybody who's difficult and exasperating in exactly the way she was, and who expects it to be done but doesn't refer to it. The Lady in the Van's Smith and Jennings reenact what Bennett describes as "a moment of pure joy" for Shepherd. Bennett: There's a scene where I'm pushing her in the wheelchair and she said, "Push me up the street," and it's not a request, it's an order really. And then she free-wheels down the street in her wheelchair, and that's a moment of pure joy. But her joy in life was to do with motion, and she was never happier than when she was at the wheel. Bennett: Everybody remembers her. Often when I'm in a cab, the driver will say, "Have you still got your old lady?" And everybody knew about her. And she deserves a plaque, I think.